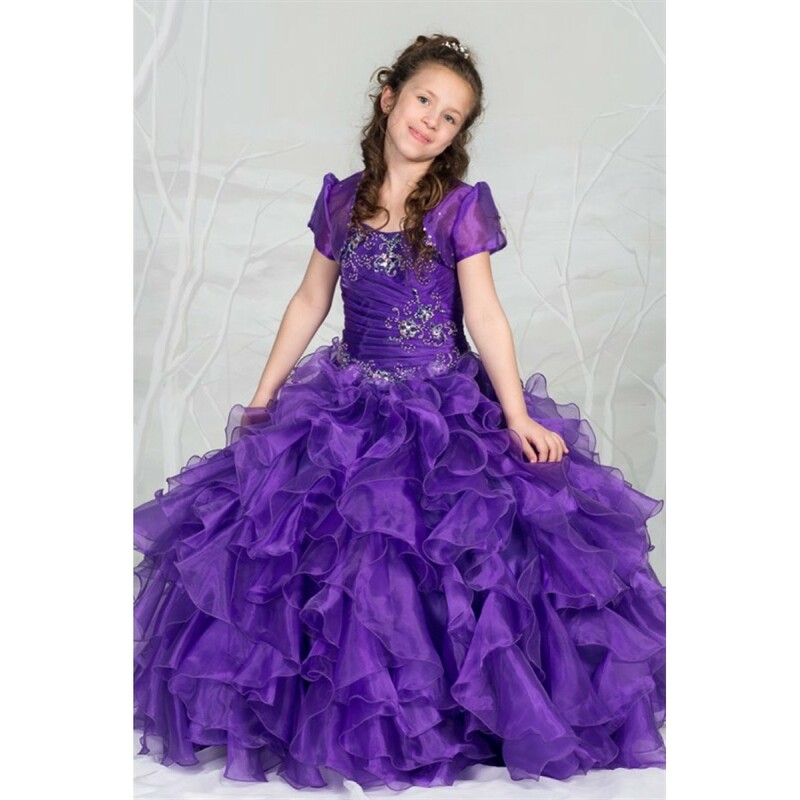 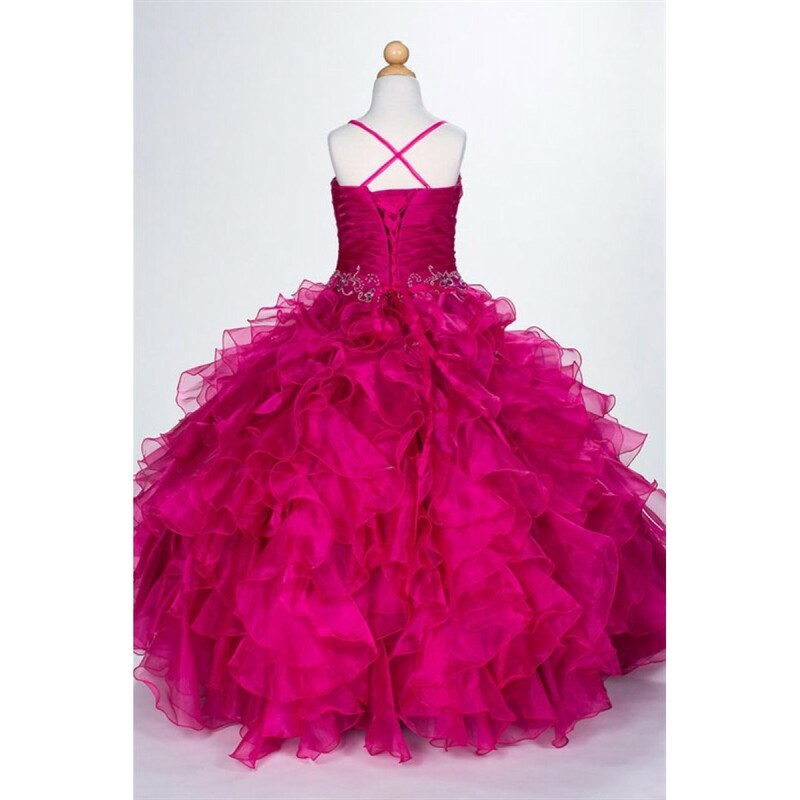 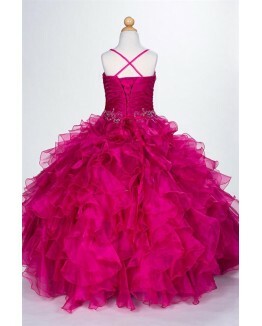 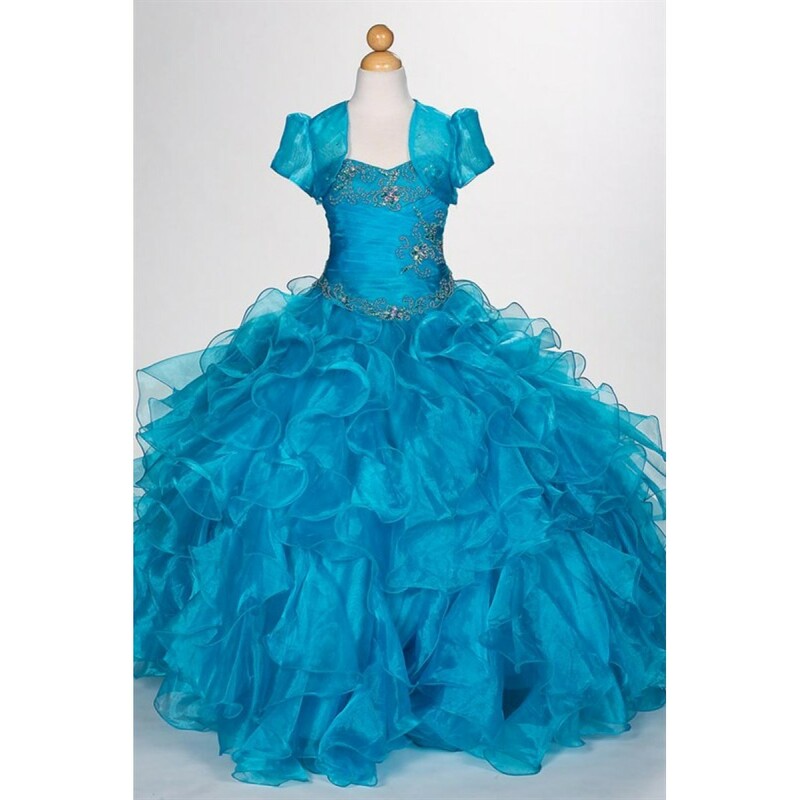 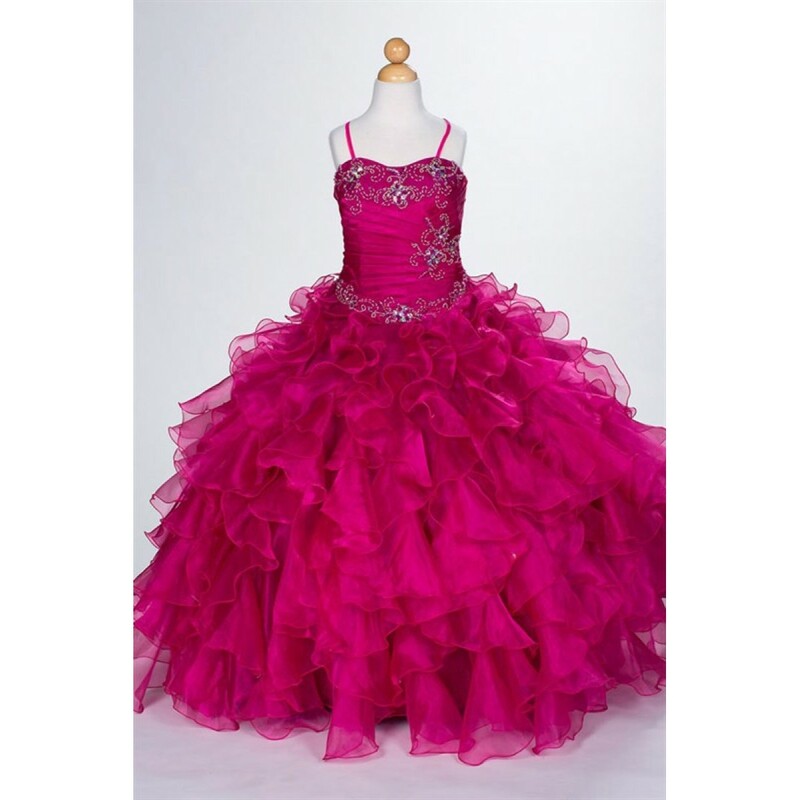 A beautiful organza ball gown dress that will bring delight to your special girl! 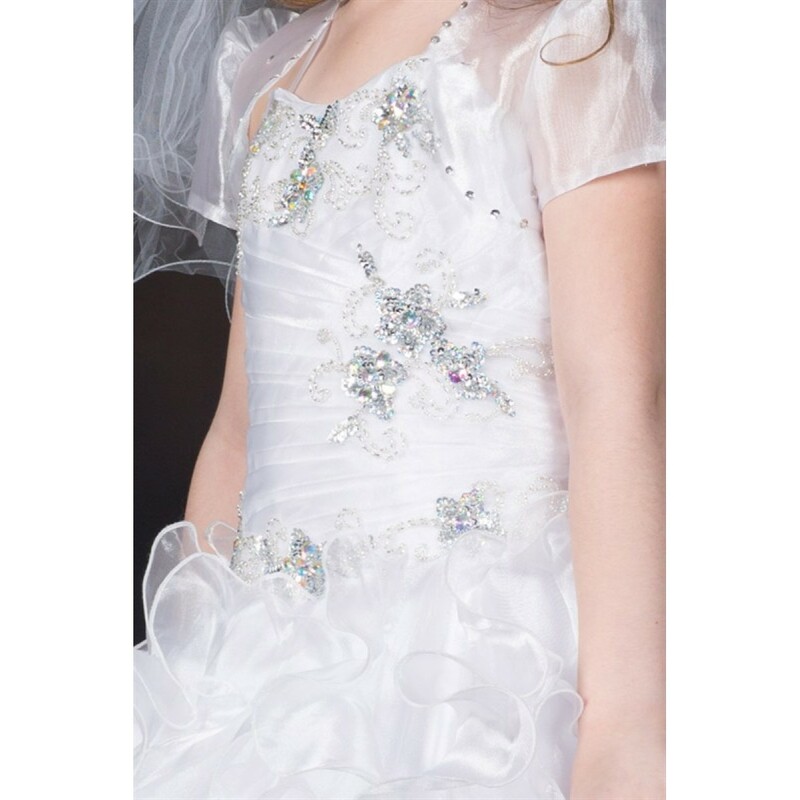 This designer quality dress is decorated with exquisite beaded detailing on the bodice. 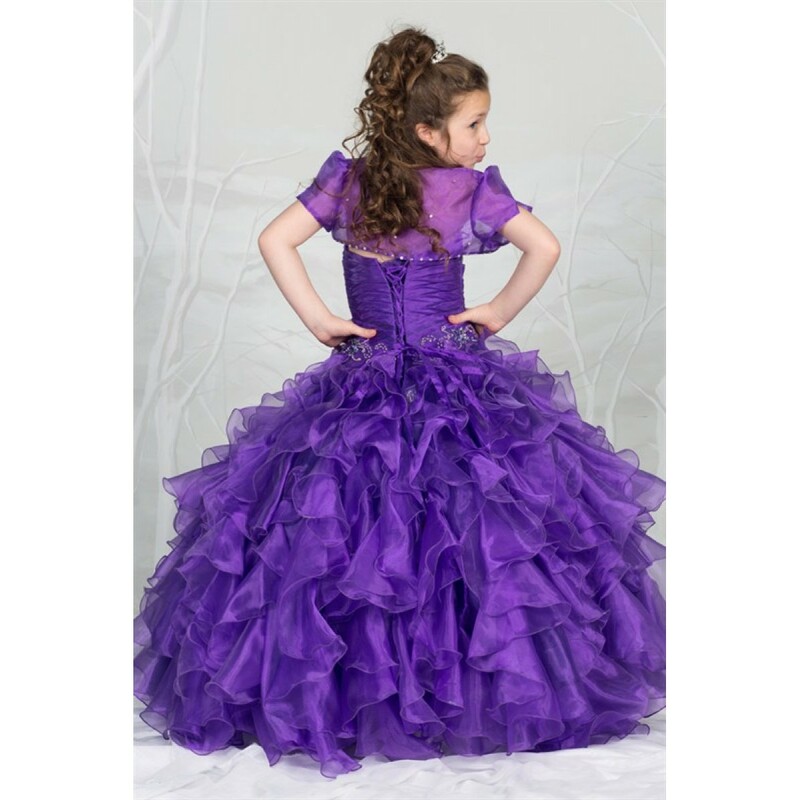 The cascading layers of ruffled organza gives this dress a voluminous look. 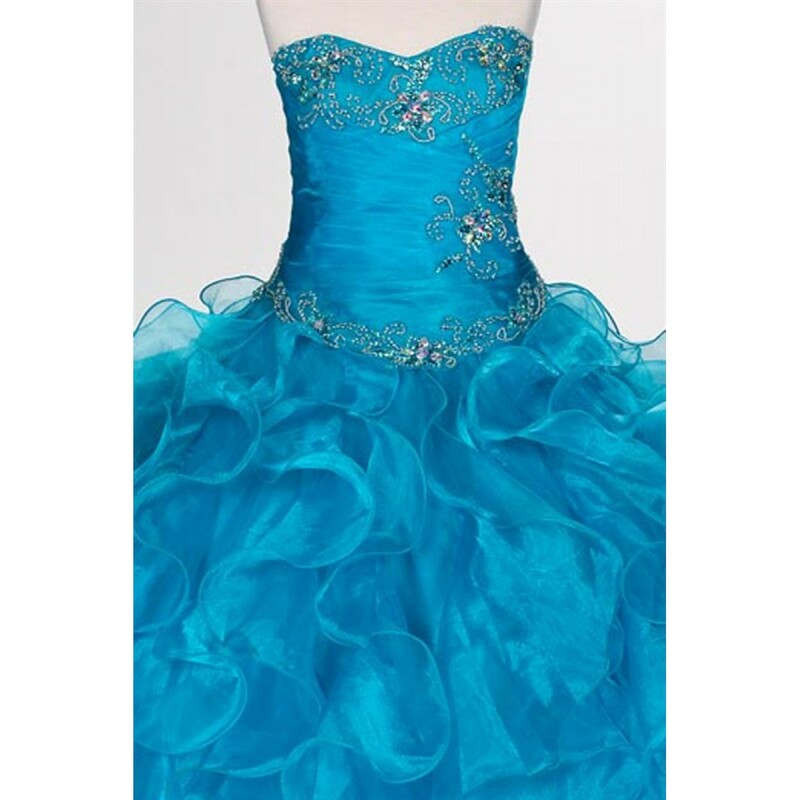 The back of the dress is a corset style and comes with a matching bolero jacket. 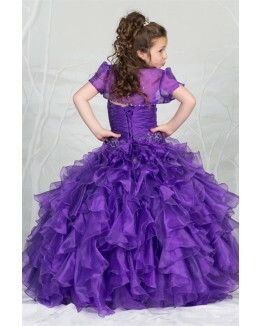 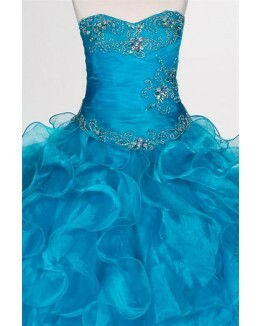 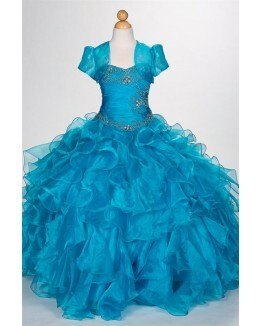 Wonderful choice for a flower girl, junior bridesmaid, pageant dress, formal party, junior prom or any special occasion. 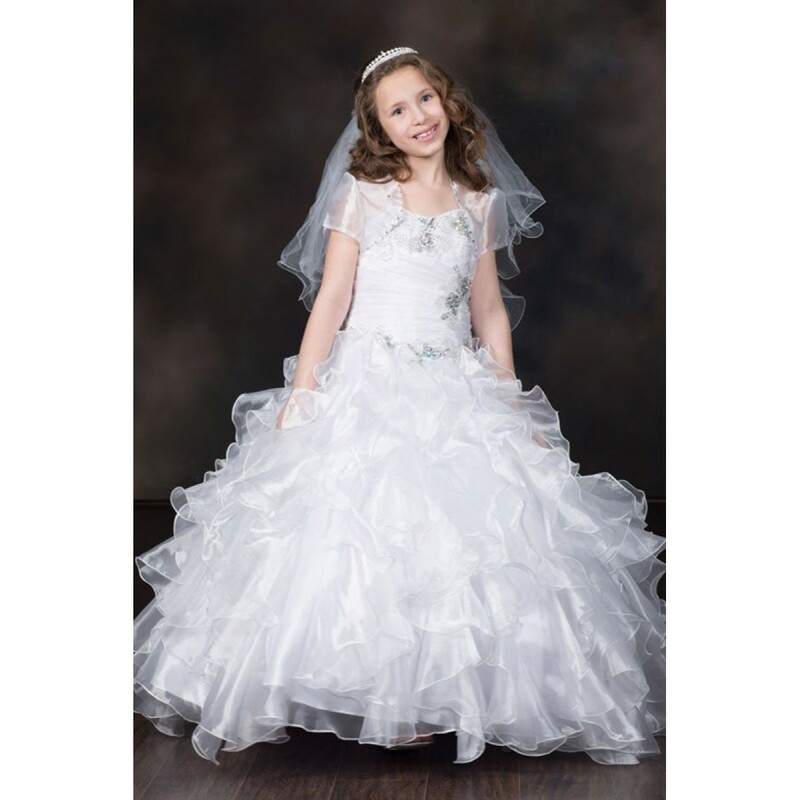 The white choice would make a beautiful first communion dress. 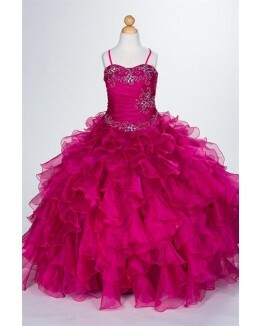 3 30 1/2" 22 1/2" 22"
4 33 1/2" 23" 23"
5 35 1/2" 24" 24"
7 39 1/2" 26" 25 1/2"
10 47" 28 1/2" 26 1/2"
14 54" 32" 27 1/2"
16 56" 34" 28 1/2"